Point your mouse over one of these buttons to learn more! Copyright © 2002-2006 Cignet Health, All rights reserved. Designed and developed by Sanin Adnan. Is the cost of healthcare coverage causing you concern lately? We may have the answer for you! Try the Cignet Health Plan, with health care reduced, cost and discounts are passed directly to you! Click below for more information. We are the leaders in creative health care and information technology development for the medical community. Cignet Health is a one stop community health center and innovator of health care alternatives development. 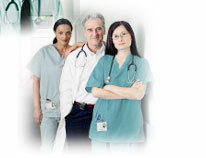 Cignet Health Providers are located in the Washington, D.C., Maryland and Northern Virginia Metropolitan area. We are currently in the process of deploying health care initiatives internationally in Nigeria, Ghana, and the United Kingdom.